The instructions are so convoluted that the Nebraska Department of Revenue has a special page (actually two) for gay Nebraska couples legally married in other states. One joint return for the feds, then two "mock" (fake) returns — a legally mandated lie on which Nebraska returns are predicated — then two individual Nebraska returns. 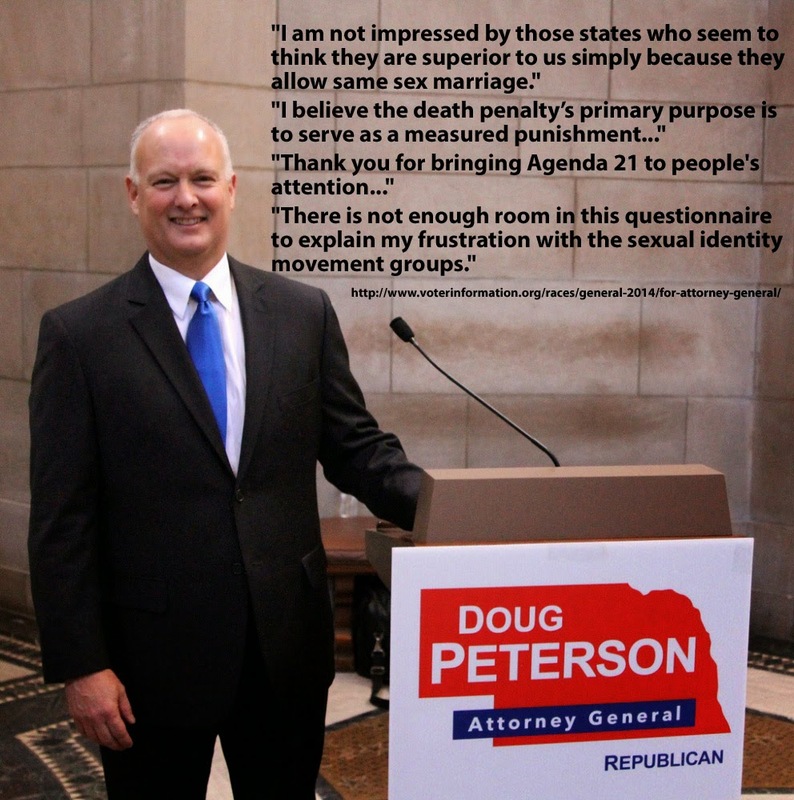 Thanks, anti-gay marriage Attorney General Don Peterson and Governor Pete Ricketts!